6-Cube Shelves Organizer Just $29.99! Down From $50! PLUS FREE Shipping! 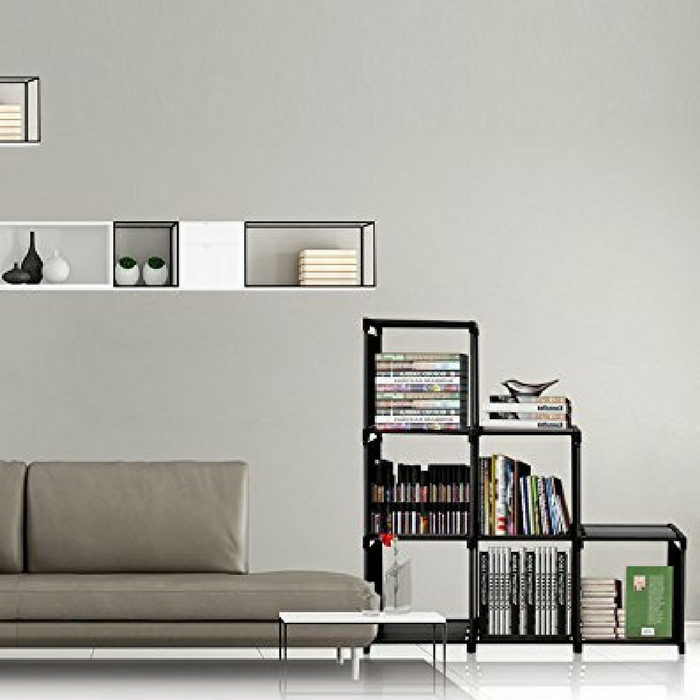 You are here: Home / Great Deals / Amazon Deals / 6-Cube Shelves Organizer Just $29.99! Down From $50! PLUS FREE Shipping! This 6-Cube Shelves Organizer is now offered in Amazon for just $29.99 down from $49.99 PLUS FREE shipping! Do you have trouble with arranging kids toys or clothes? These organizer is exactly what you would be expecting. Every cube you can place different stuff, your room is no longer messy with it. A friendly price to bring you high quality shopping experience. With this storage cube,your room will look larger. There are 6 cubes with pretty sturdy structure, each cube is large enough to organize your clothes, books, shoes and toys . It is also very suitable for collectors to collect things and very easy to clean. The elegant color will also match your warm house. A Multifunctional Organizer: 6-cube for variety of storage and organizing your clothes, shoes, books, kid’s toys. You can also use it as a bookcase and put it in your bedroom. Easy to Install: The structure is very simple and easy to install and disassemble, it is your best choice and if you have any issue with installation,please contact with customer service. Durable and Health Material: The stick is made of high quality and durable plastic, and the shelf is made of water-proof and dirt-proof non-woven fabric, it is very easy to clean. Large Size: The size for each cube is 12.6x 11.7×13 inches, and the product dimension is 41.7 x 11.7 x 43.1 inches, it is very easy to assemble with tool free and just takes you few minutes.